before it is installed on the car. 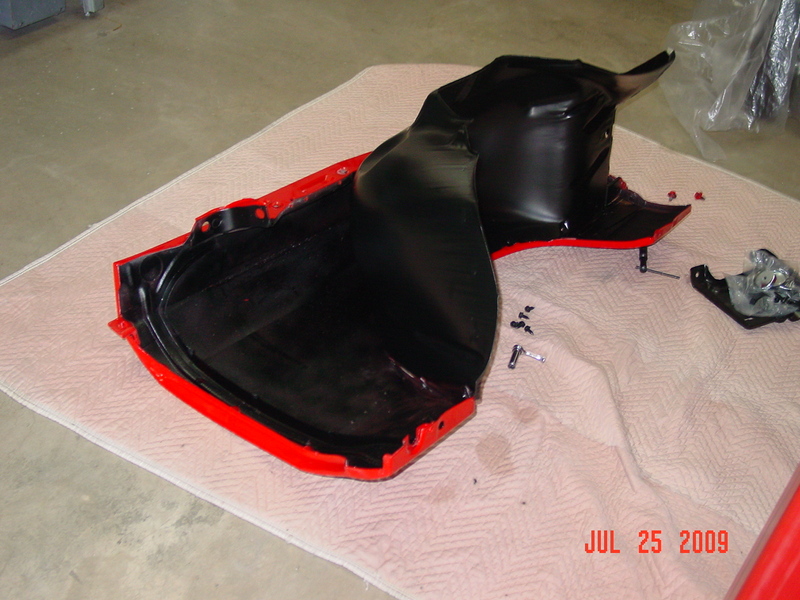 The inner fender panel was powder coated black. 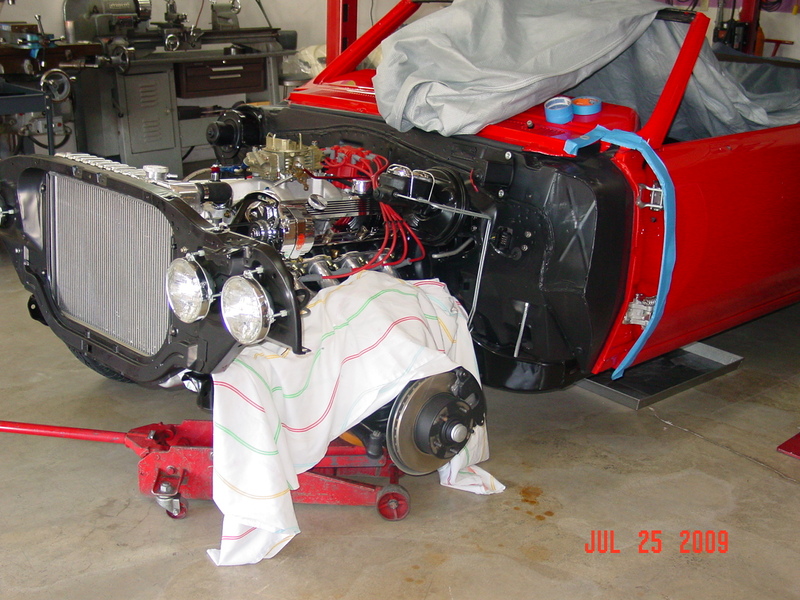 The fender is ready to be installed on the car. is installed. 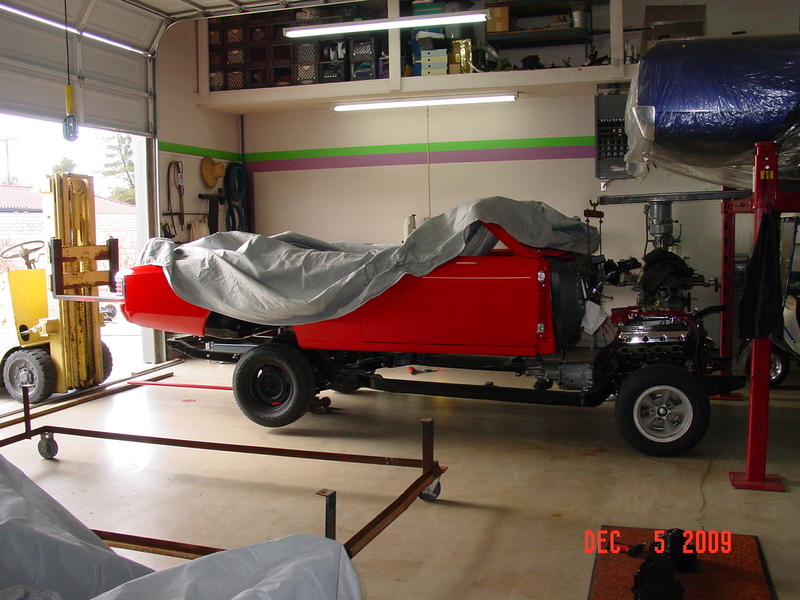 Parts are covered to keep clean. We try to protect the car! The fender is on the car. The car is coming together! It takes some adjustments to get the right fit. We ran into a problem when we tried to put the front end on the car. its way to the frame shop. We will keep you updated. 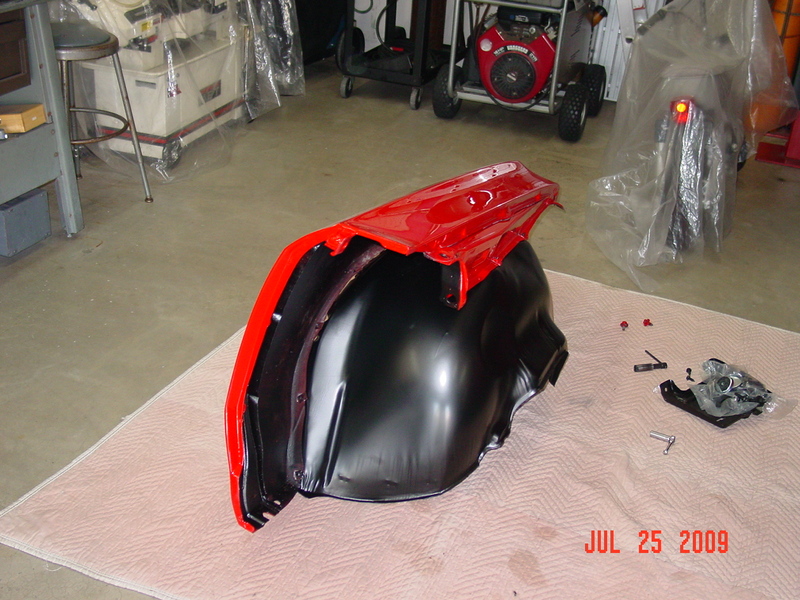 as the body work under the paint. This is one area you don't want to skimp on! 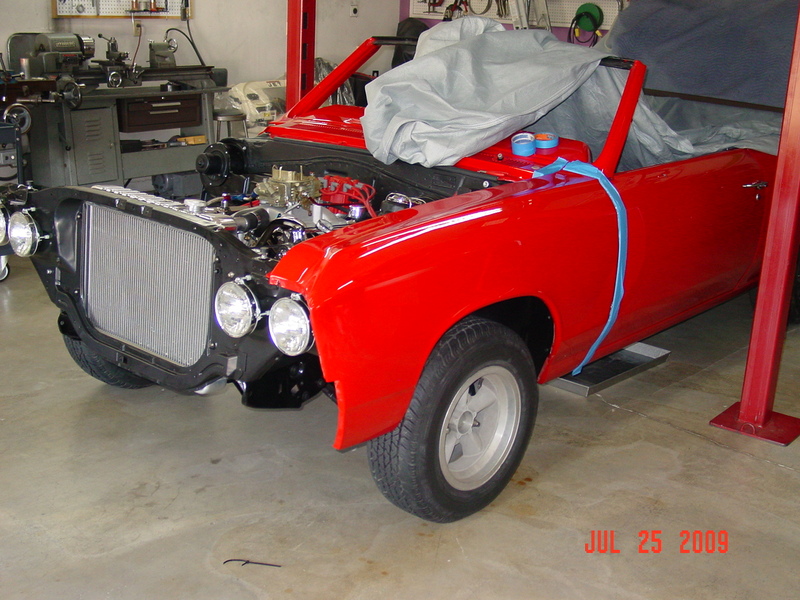 This Chevelle is coming along!